2013 Let the Good Times Roll!! Wow – two great vintages in a row. Right on the heels of 2012, we get another stunning vintage in 2013. I guess Mother Nature was feeling a bit guilty after kicking our butts in 2011. 2013 was another year of perfect weather and solid yields. So… not only will we have some super tasty wine from 2013, but we’ll also be able to keep our futures pricing the same as the past few years And that’s double good news for everyone! What are the 2013s like? I’d say similar to 2012 but with a notch more depth and intensity. Maybe a cross between 2009 and 2012 – which is a pretty nice place to be! Almost all the barrels in the winery could probably qualify to be in the single vineyard wines, so the AVA Blends should be extra special this time. We’ll be mostly looking for power versus softness/prettiness when we make our barrel selections for the single vineyard and AVA wines, respectively. 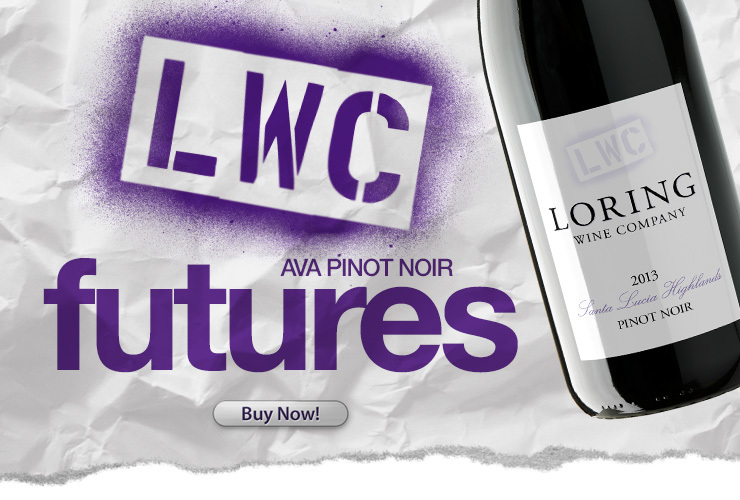 AVA Pinot Futures Release: Available Now! While yields were good everywhere, we didn’t get as much Garys’ Vineyard Pinot as we normally do, so the Santa Lucia Highlands Pinot will be in short supply this year. Gary Franscioni and Gary Pisoni decided they needed to replant a portion of the vineyard, so everyone’s acreage was cut back. Your only chance to get any Santa Lucia Highlands Pinot will most likely be directly from us, since we probably won’t have enough for distribution. Note 1: These wines won’t ship until sometime in Nov-Dec (weather permitting). That’s one of the reasons we offer them at such a great price. Note 2: We’ll be offering these wines in pre-defined sets. Since that’s another way for us to be able to offer the discounts, we can’t allow substitutions or modifications. We’ll try to give you as many options as possible while still keeping it streamlined and cost effective for us. We feel there’s no better value in California Pinot Noir than our AVA Blends.